VAX 020 expands the IDAX test voltage range from 200 V to 2 kV. This improves the capability to perform accurate measurements in extreme high interference environments e.g. HVDC substations. 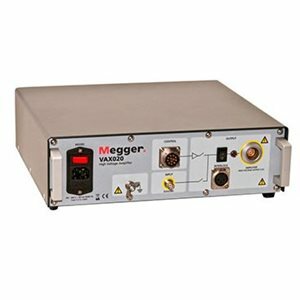 Besides 50/60 Hz capacitance and dissipation factor (power factor) measurements, the application gives valuable information about the general condition of any high voltage insulation by measuring its dielectric response. The technique is also capable of assessing the moisture content in oil/paper insulation systems.